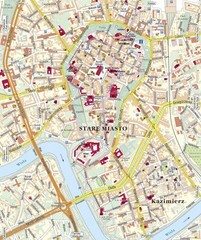 Map of the city of Krakow. Includes streets, buildings, hotels, and parks. 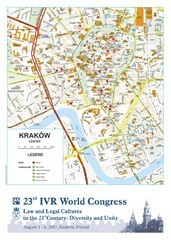 City map of central Krakow, Poland. 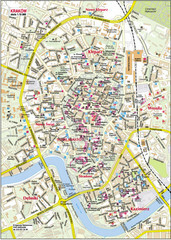 Tourist map of central Krakow, Poland. 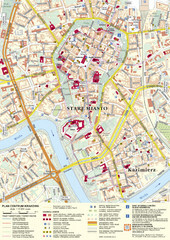 Shows tourist routes and site of historic interest.